September 6, 2011 – The Iranian main opposition movement announced yesterday that its members have elected a new Secretary General on organization’s 47th anniversary. Mrs. Zohreh Akhyani was elected as the new Secretary General for a period of 2 years. She was among eleven other candidates and received 67 percent of the vote. The PMOI usually elects a new Secretary General every 2 years according to its regulations. The residents of Camp Ashraf are political dissidents of the Iranian regime. Membership in the group is by itself reason enough to receive a death sentence in Iran for any individual. The group has been in Camp Ashraf, Iraq for the past 25 years. Akhyani, 48, was born in the city of Shahrood in northeast of Iran and joined the PMOI 32 years ago after the downfall of the Shah. She has a 29 year-old daughter. “This is a slap in the face of Iran’s Supreme leader Ali Khamanei,” said Maryam Rajavi, President-elect of the Iranian Resistance, referring to the misogynist ideology of the rulings Iranian mullahs. 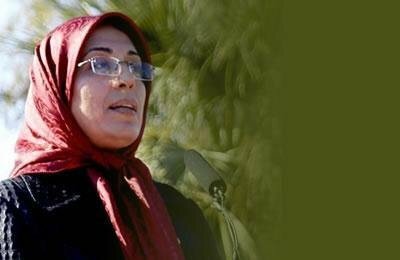 She congratulated the PMOI’s assembly for the election in a video message.